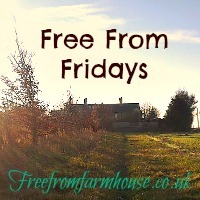 I haven’t had much of a chance to blog this week as I’ve been so busy. Work, wedding planning and a bit of amateur demolition in the garden have got in the way of cooking. Because of this I have made a dish that is super easy and quick to make. It would have been quicker had I not opened the egg box at the last minute to find only 1 egg! A great gluten free option served warm for lunch or eaten cold out on a picnic. Tomato, Feta and Spring Onion Frittata Ingredients: 2 tbsp olive oil 1 bunch spring onions – chopped 400g cooked potatoes – chopped 4 eggs 1 pinch chilli flakes Salt and pepper 70g feta cheese 100g cherry tomatoes – cut in half What to do: Heat the oil in a frying pan over a medium heat, add the cooked potatoes and most of the spring onions and fry until the spring onions soften and the potatoes start to go crisp. Whilst the potatoes and spring onions are cooking crack the eggs into a bowl. Add the chilli flakes, season with salt and pepper, and beat. Tip the egg mixture into the pan with the other ingredients and stir for about 30 seconds. Turn the heat down, crumble over the feta cheese and add the tomatoes. Once the top has almost set, place the pan under a hot grill for 2 – 3 minutes until golden. 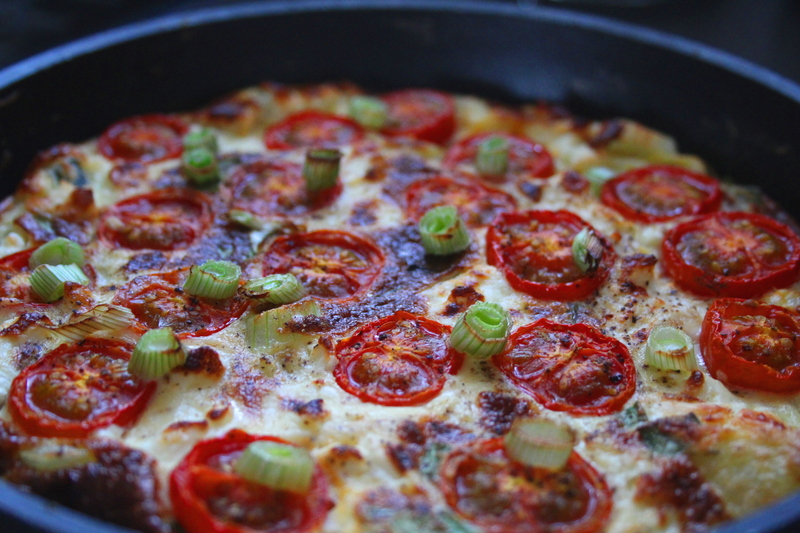 Slide the frittata out of the pan, sprinkle over the rest of the spring onions, cut into quarters and enjoy. 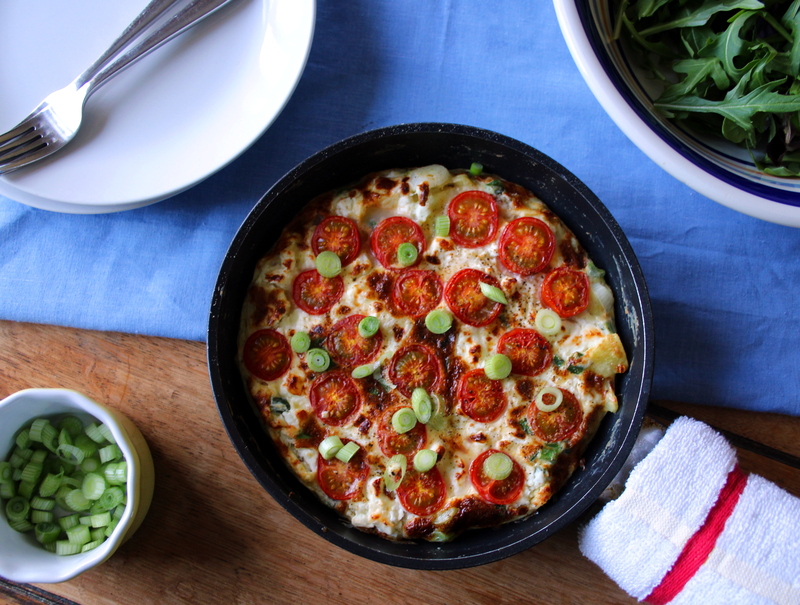 firstly… I LOVE the name of your blog!… adore a good pun as much as I adore this gorgeous frittata!… love that it looks like a pizza too! Thanks so much for entering into Simply Eggcellent, I hope you can join us every month! Thank you! There was much time spent discussing blog name options and an amount of wine drank before a good enough oun was found. (V important) I also love pizza I have a pizza blog planned for next week. Great linky party! I certainly would love to join in again. Thanks! Do let me know how it goes!